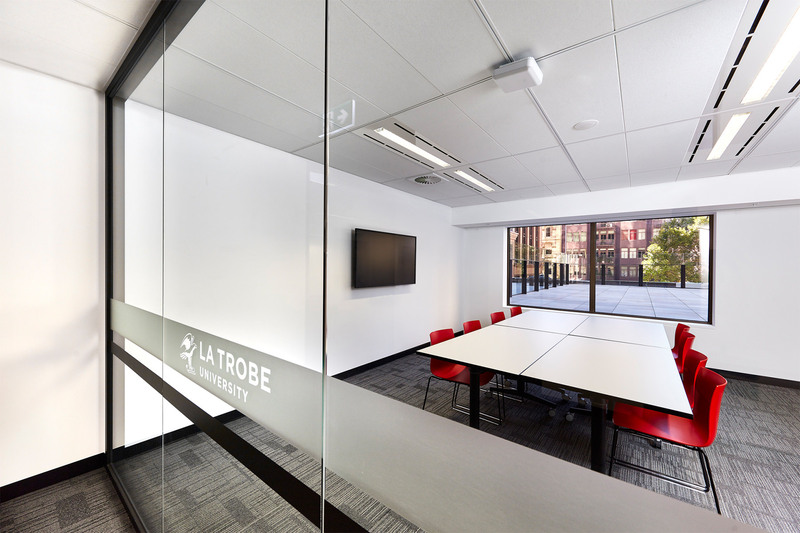 A flagship space for La Trobe University in the heart of Melbourne CBD. 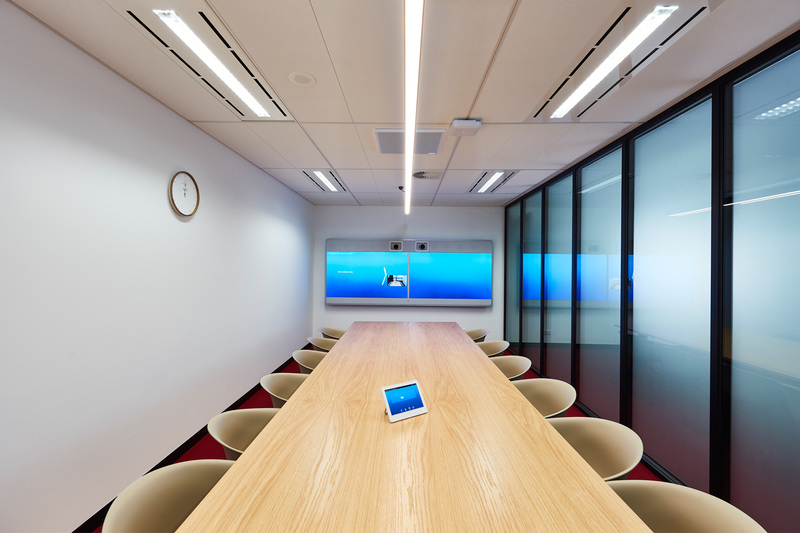 BLP designed and delivered a complete refurbishment and two level expansion to Levels 1, 2 and 3 of their Collins Street campus. 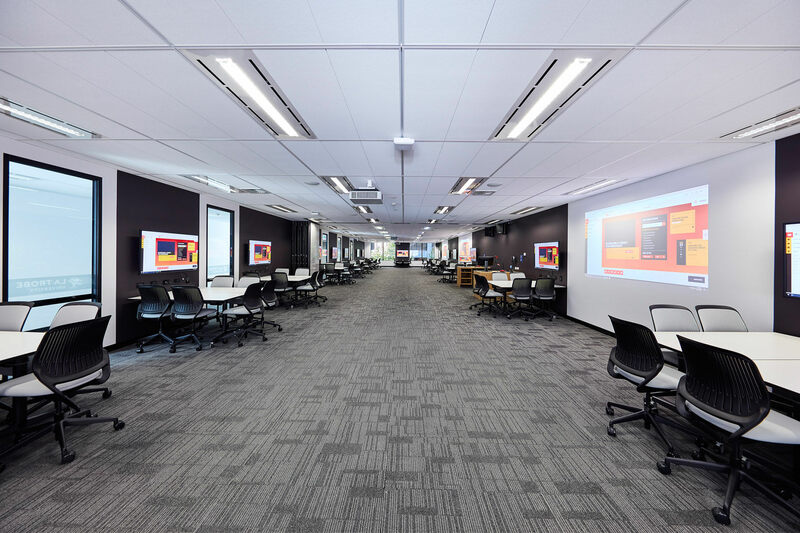 The result is a modern, accessible, and functional corporate space of premium quality that enables authentic learning experiences for students, and where staff, students and members of the corporate, business and university stakeholder community can engage effectively with each other to make connections and build their networks. The design adds new teaching and informal learning spaces for over 300 students, student break-out spaces, function areas, an outdoor terrace area, front of house facilities, with offices, workstations and hot desks in an open plan, meeting rooms and 20 person Board Room which also functions as a seminar space. 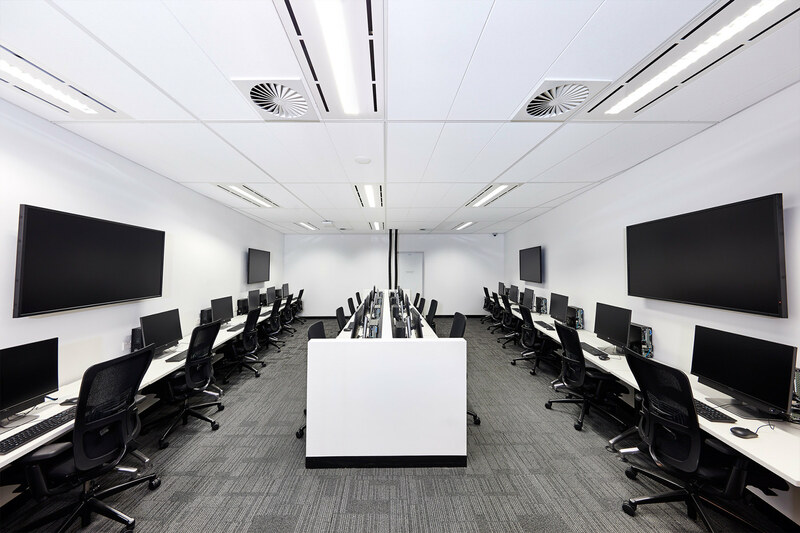 All indoor areas are supported with state-of the-art IT/AV technology ensuring the campus can support teaching and learning outcomes well in the future. Large open plan lounges and breakout areas cater for students to mingle prior to classes as well as corporate/cocktail functions. 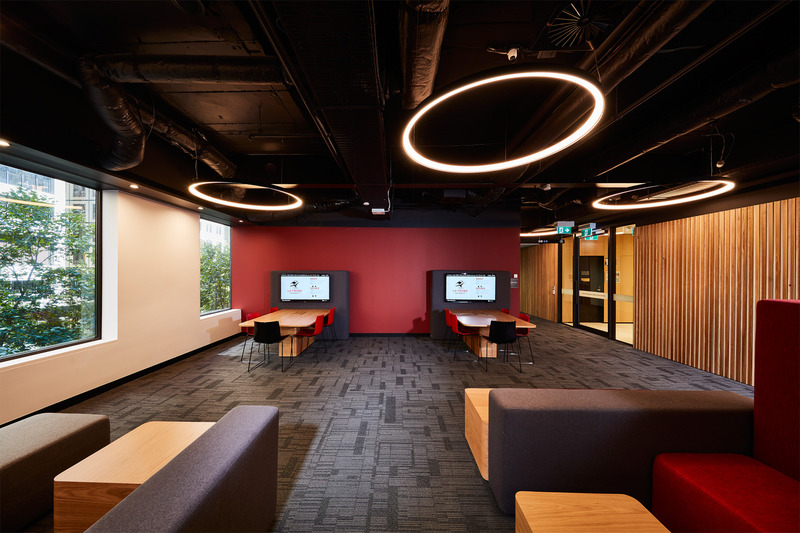 All spaces are designed to enable the right balance between communal and individual use of space campus-wide, with social and learning areas integrated throughout the environment as collaborative spaces. 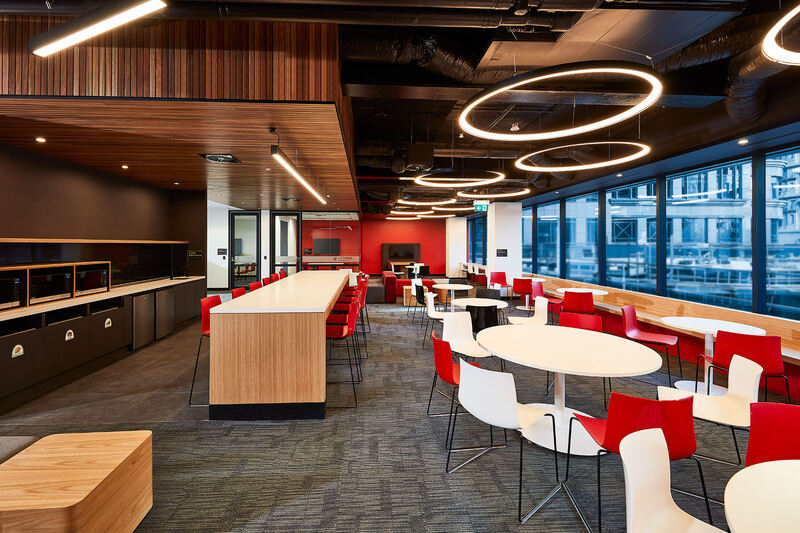 The main access from the Little Collins Street plaza draws users into the front of house facilities on the second floor, allowing the University to have a strong visual presence within the CBD and publicly present a formal sense of entry to the campus. A strong colour palette reinforces the University’s branding, while a formal aesthetic is lightened by brief moments of timber throughout the campus.